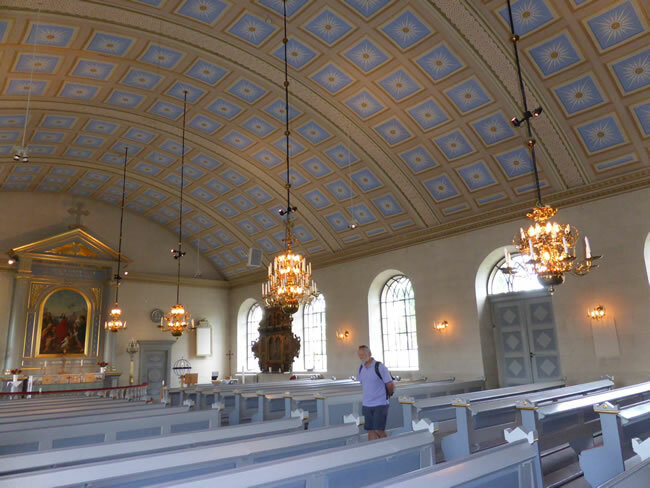 The Mörrum Church was built in the 1840s, and quite beautiful inside, especially the painted ceiling. They keep some of the older artifacts from the ancient church here eg the carved wood altar piece on a side wall between the windows. You can see it up closer in the previous photo.